On June 27, 2014 at approximately 5:30 PM a resident from the Oyster Bay Development received a call from a male posing as an IRS agent. The caller left a voice mail message and advised the victim that if he did pay $500.00 via a Green Dot Card he would be arrested for back taxes. The victim did not respond to this call. A short time later the victim received a second call from a male advising the victim that he was an Officer with the Absecon Police Department and the victim had an active warrant due to the back taxes not being paid. 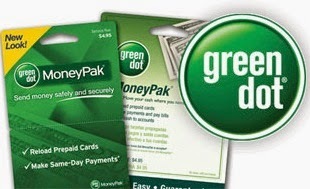 The victim then put $500.00 on the Green Dot Card and forwarded the money to have the warrant recalled. The victim then contacted the Absecon Police Department to verify that the warrant was recalled and he was advised that no one from the department had contacted him. The Absecon Police Department wants to advise the residents that the IRS does not contact people via phone to collect any money for back taxes. If you receive a call from anyone posing as an IRS agent or even any type of Federal or local law enforcement officer and they demand money especially by sending money on a Green Dot Card or Western Union this IS A SCAM. Criminals utilize these methods because they are very difficult for police to follow up on. Wiring money is like giving cash—once you send it, you can’t get it back. If you are not sure if the call is a legitimate call, contact the agency to verify the caller’s demands. Try to contact the agency that is being stated or your local police department to determine whether or not the call is legitimate. For more information on various scams being committed, residents can look at the FBI web page under “Frauds from A-Z. http://www.fbi.gov/scams-safety/frauds-from-a-to-z.